What makes a woman feel beautiful? Advanced Génifique. Discover Advanced Génifique yeux light pearl. Engineered with a flexible massage applicator, this eye illuminator youth activating concentrate immediately makes skin around the eye contour appear firmer, more rested. After 6 weeks of use, eye contour looks less puffy, more luminous. Visibly re-energized, reawakened. 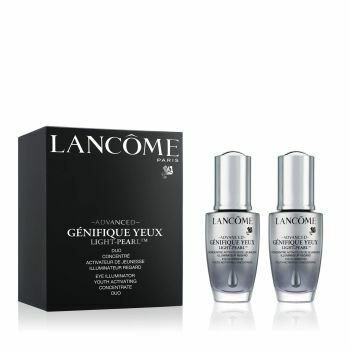 Lancôme Advanced Génifique Yeux Light Learl in a Travel Exclusive Eye illuminator youth activating concentrate Duo.